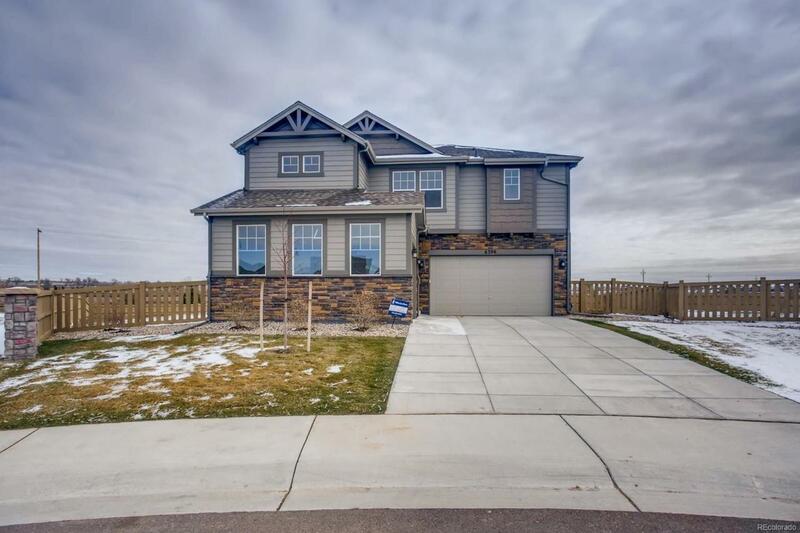 Stunning new 2-story on a HUGE corner lot by William Lyon Homes. 4 bed, 3.5 bth, main floor office & main level flex room great for a playroom! Modern contemporary design & finish package throughout. Wood floors through entry, great room & kitchen. Show stopping 2-story great room w/gas fireplace & a WALL of windows. Gourmet kitchen package has double oven, gas cook top, quartz counters & walk-in pantry. Window blinds included. A/C. Front yard landscaping & back yard fence.